Our District Honor Choir performed at Loyola University. 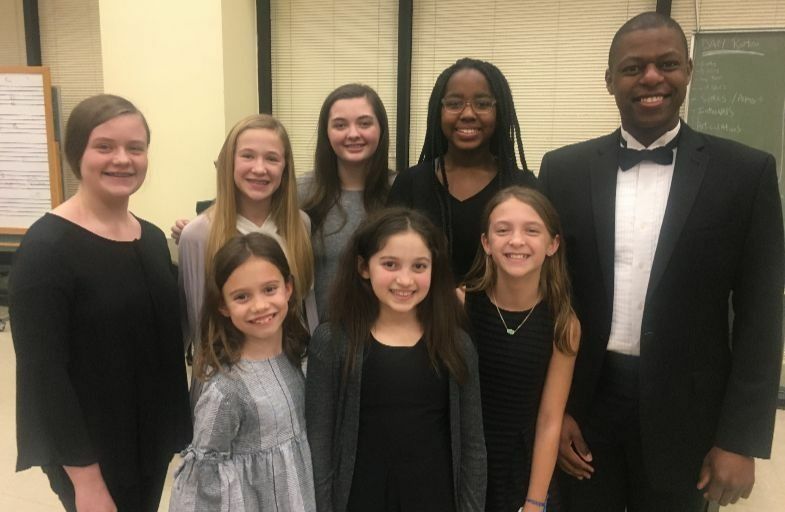 This past weekend eight McGehee students participated in the Louisiana Music Educators Association District Honor Choir at Loyola University. Choir is a long-standing McGehee tradition. Through ensemble singing, students experience musicality and multifaceted learning in a team environment. Our curriculum at McGehee prepares students to audition for district and statewide choral experiences that will challenge them and bring them to a new awareness of what choral music can be. Molly Stockmeyer ‘20 participated at the Senior High level, and Katie Tober ‘23, Gabby Dennis ‘24, Kendall Williams ‘24, Amelia Phillips ‘24, Madeleine Phillips ‘26, Sam Scalise ‘26, and Marie Amelie Josephs ‘26, participated in the Youth Choir. Each of these choirs was led by a nationally renowned clinician, Dr. Jaclyn Johnson of Oakridge, Tennessee, and Dr. Brandon Williams from Rutgers University, respectively. The event culminated in two extraordinary concerts Saturday evening.